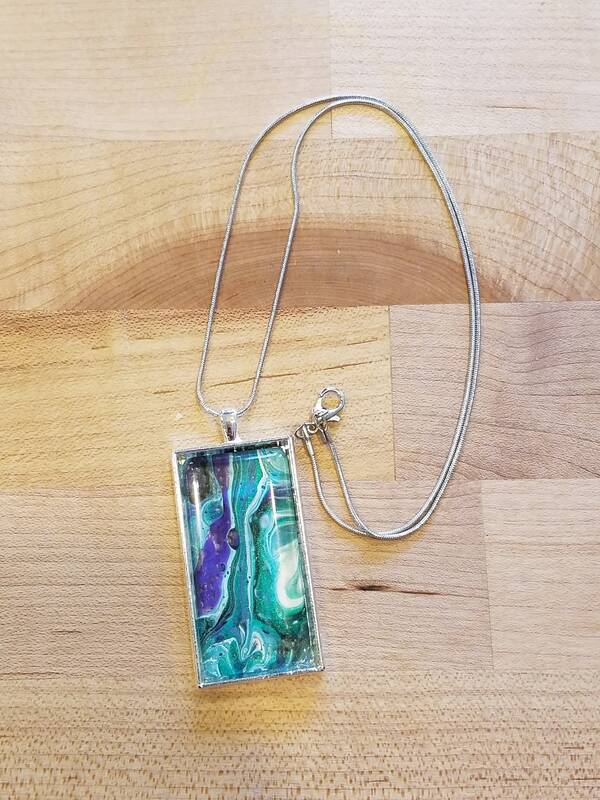 Handpainted pendant with chain ! 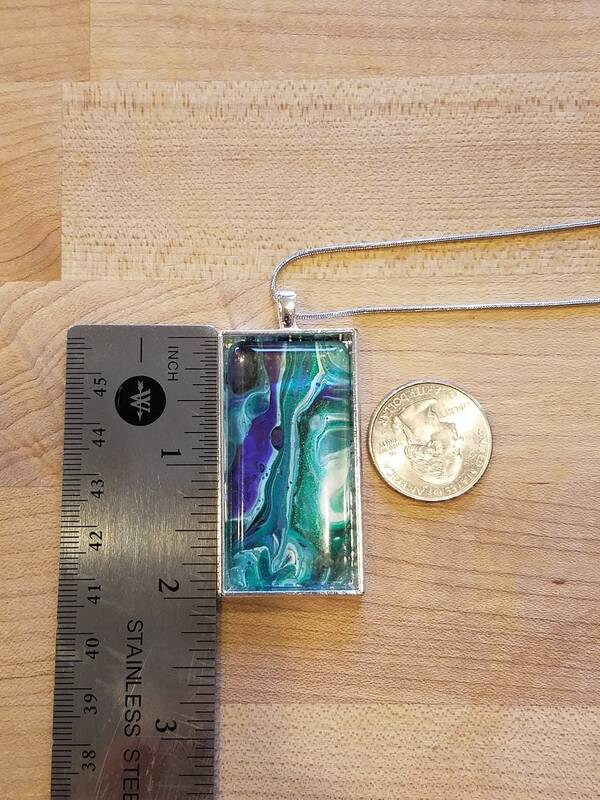 Handpainted pendant on 20 inch long silver plate necklace . 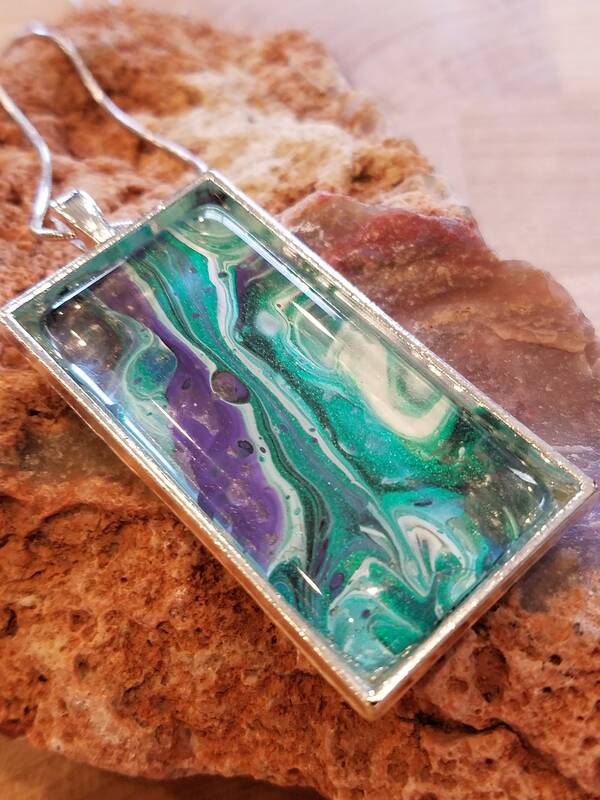 Swirls of greens,purples, white, blues through the piece ! 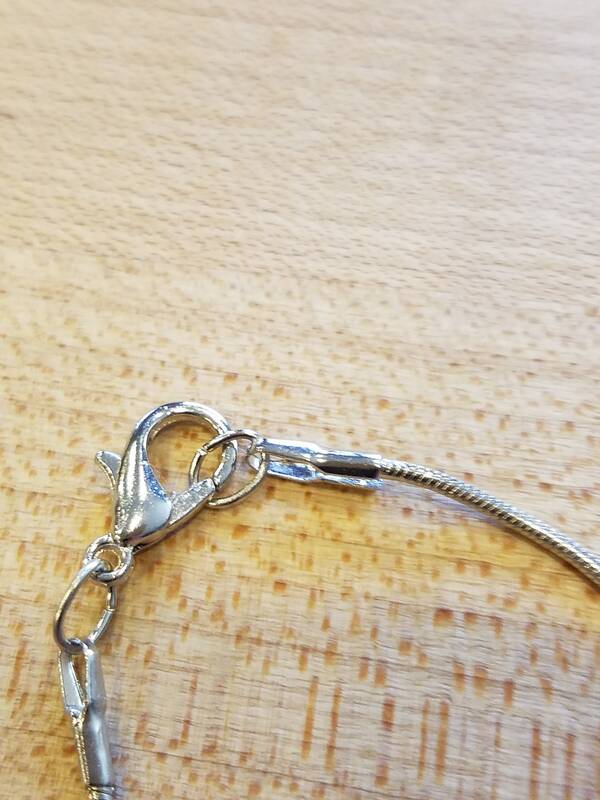 Claw clasp . 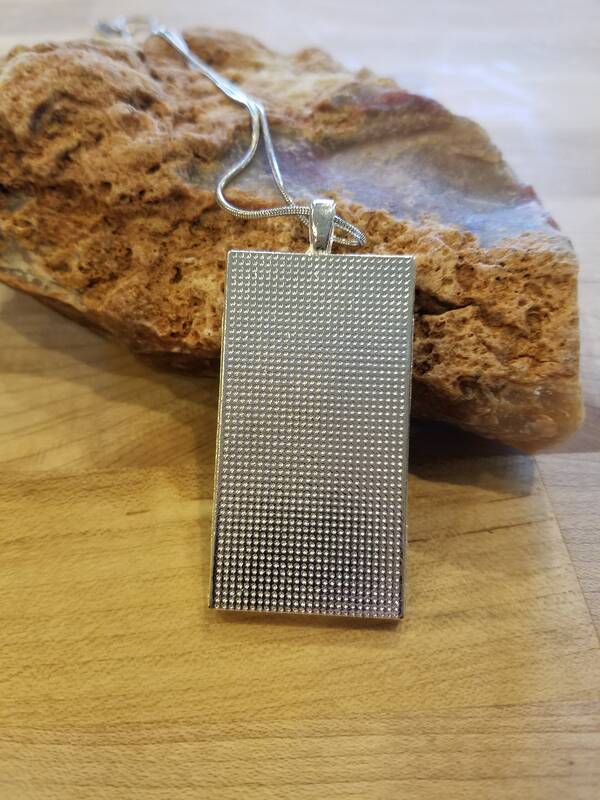 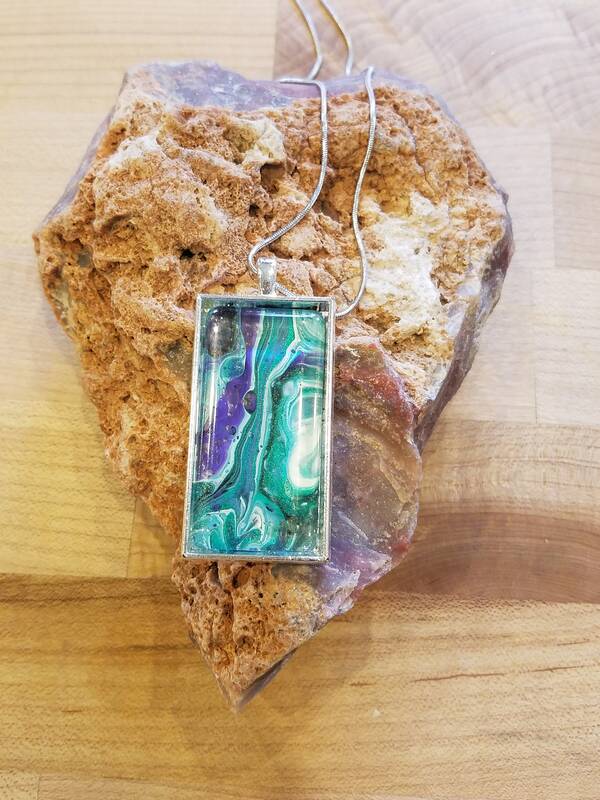 Pendant is 2 inches long and 1 inch wide.